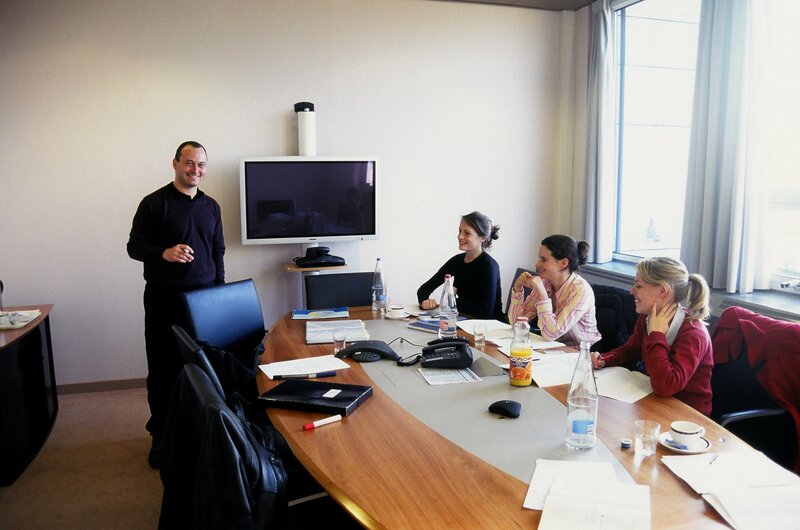 Set up a Dutch or English language course at your office. Many companies based in the Netherlands offer international employees Dutch language courses. Although internationals often don’t need Dutch for work, speaking the local language makes you feel more at home, and less like a tourist. Despite the fact that English is the primary language in today’s business world, knowing Dutch is more important than ever. If you speak the local language, you are more likely to stay in the Netherlands. Business English, on the other hand, is vitally important if you work in an international environment. Although your company might be Dutch, more and more work is being done in English. Having just the basic skill sets for Business English often isn’t enough to do business at an international level. That is why an increasing number of companies are offering Business English courses to their staff. Having a course in-company also helps to forge good relationships between employees. Feel free to get in touch and allow me the opportunity to explain how it works. Dutch & Such provides in-company Dutch courses tailored specifically to your language needs. Language courses with Dutch & Such are VAT free. If you would like to find out more please get in touch with me by using the contact form.